We all know getting a good night’s sleep is important. But why is sleep so important? What happens when we sleep? There are two main parts to the nightly sleep cycle: REM and non-REM or NREM. These two stages average about 90 minutes long and can be further broken down into four shorter stages. During this stage, your body starts to fall asleep. Many people experience something called myoclonic twitching, or random muscle twitches, typically in the extremities. Myoclonic twitching usually occurs with hypnagogic hallucinations. You may feel as if you are falling and suddenly feel your entire body jerk (a myoclonic twitch). NREM Three is when your body goes into a deep sleep, and your brain starts to form delta waves. Breathing, heart rate, and blood pressure are at their lowest during this stage, and muscle movement is extremely limited, except in cases of sleepwalking. Your brain also produces growth hormones that promote healing and growth of new cells to build muscle. Most of us know this stage as the dreaming state, but its scientific name is rapid eye movement. The name comes from the eye movements (called saccades) that occur at this point in the cycle. Voluntary muscles like the legs and arms are paralyzed, but breathing, heart rate, and brain activity increase. Your brain also cleans out the cellular trash from the day’s metabolic processes and solidifies new memories and knowledge during this stage. 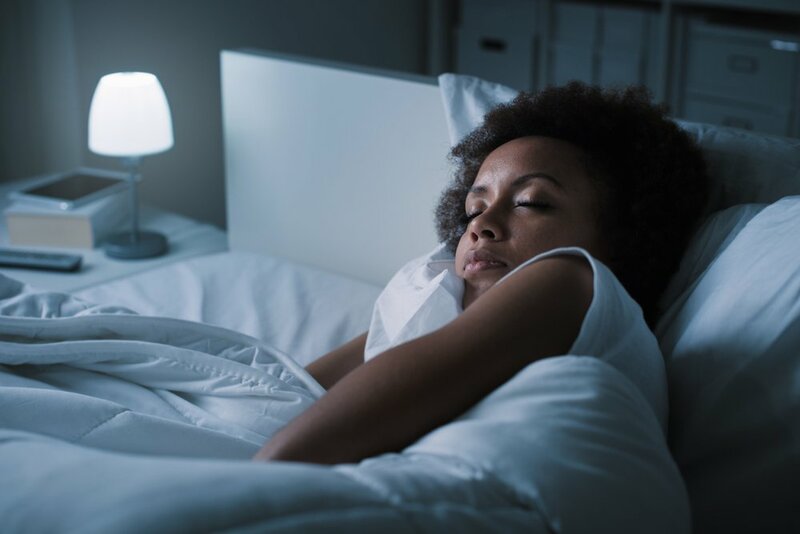 Create a sleep routine – start your routine about 30 minutes before bedtime by turning off all electronics, including your TV and make sure you have the sleep essentials before you hop into bed. Keep your bedroom cool – the temperature should be no higher than 70 degrees. Get the right mattress – there’s nothing worse than waking up with a sore neck or back because of a bad mattress. Our experts can help you find the perfect mattress for your sleep style. Come into MATTRESS360 to speak with an expert about getting a better night’s sleep in Glendale, AZ with high-quality sleep products tailored to your sleep style. Contact Us Today to Improve the Quality of Your Sleep!